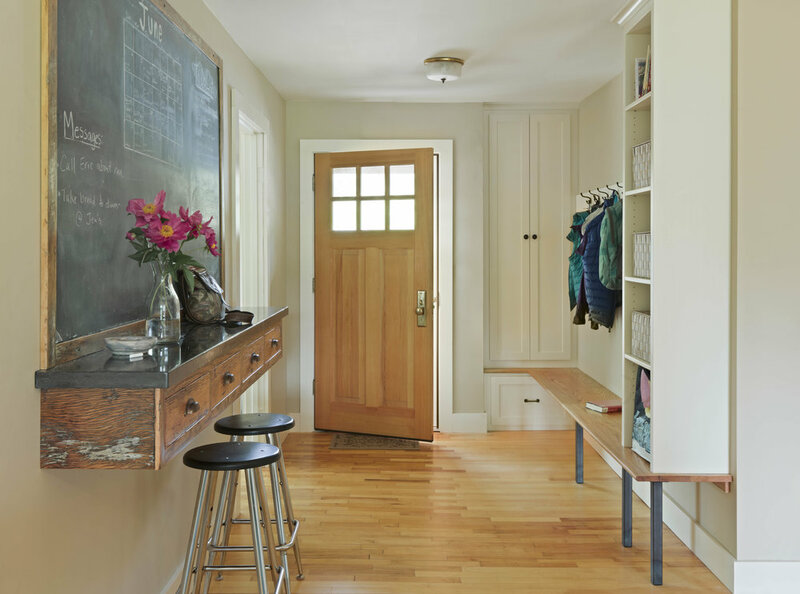 My client's traditional, mid-century cape style home, was dark and cramped from the entry and into the heart of their home. 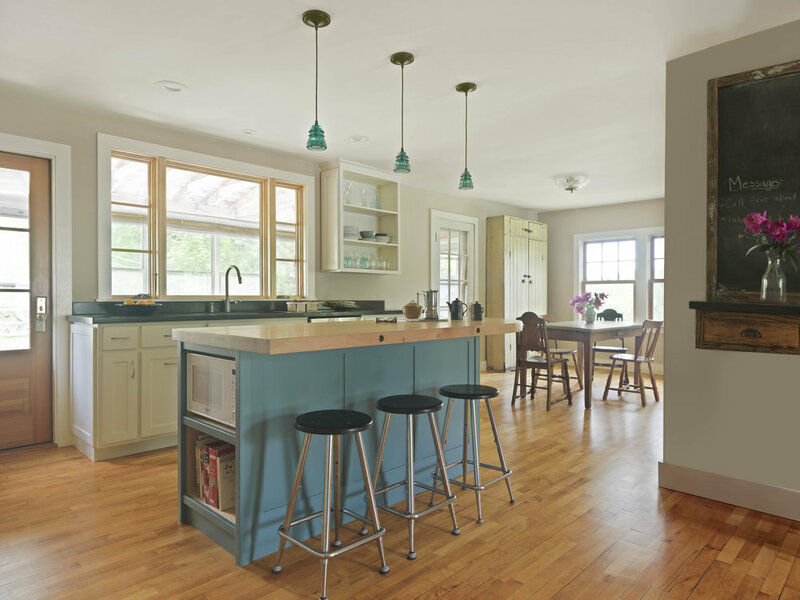 They had renovated other areas to bring in more light, but the kitchen felt claustrophobic and didn't lend itself to lingering in comfortably. Connection to their dining space was tenuous and their entryway was pinched and not functional. Taking out key walls to open the kitchen up to light borrowed from other spaces was a given. Re-locating the kitchen sink so that they could look out to their backyard instead of at a solid wall was another natural move. Re-arranging closet space and door swings in the entry, and building in bench seating and coat hooks, made a huge difference. An old chalk board was something the family had incorporated as a key daily planner years ago and it was part of the plan to continue to make use of it. Old stair treads had been waiting to be of service again, and are now the seating surface of the new mudroom bench. An old, oversized workbench top, in the family for years, is now the focal point of their kitchen island. Offset against black contractor built concrete countertops, the beautiful wood island top adds additional warmth and softness to the space.